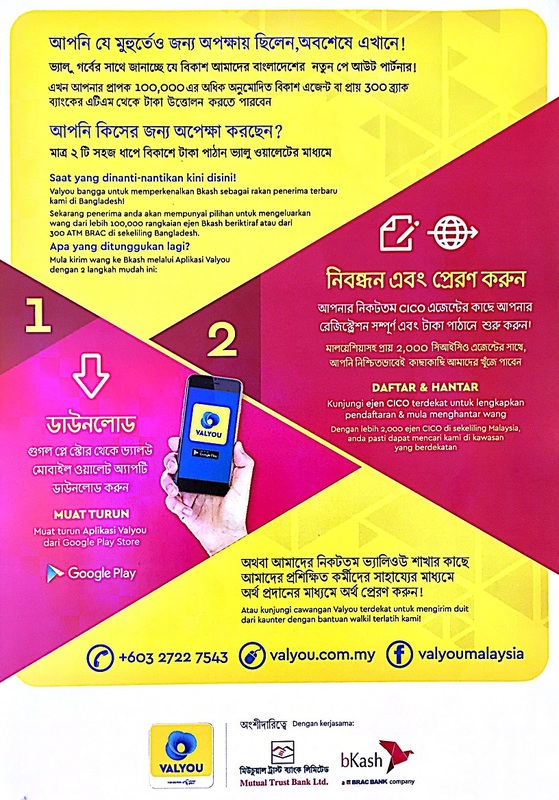 Valyou, a fintech startup focusing on mobile e-wallet app has just launched their latest product integration which allows for the transferring of money from Malaysia to Bangladesh directly, via the Valyou mobile app. 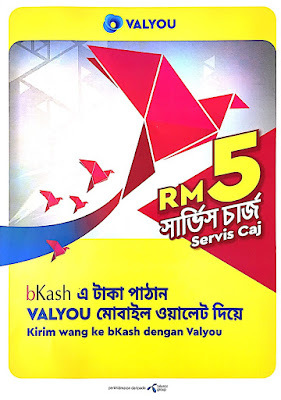 Valyou is a subsidiary of the Telenor group, licensed and regulated as money services business (MSB) and approved by the Bank Negara to issue e-money. Using the mobile app which is currently available in Android platform, Bangladeshis in Malaysia get to remit money to family members in Bangladesh directly and instantly. The app was developed by partnering with Mutual Trust Bank (MTB) of Bangladesh and bKash. 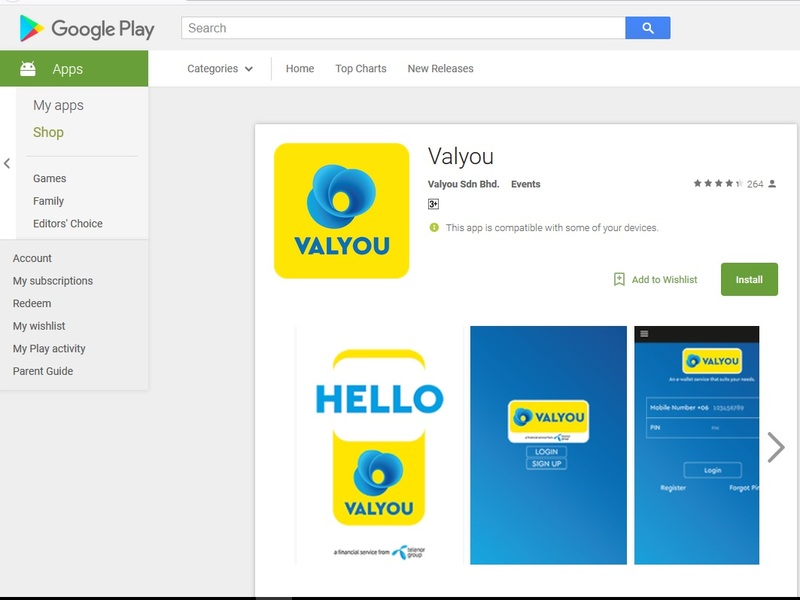 Users download the Valyou app from Google play. 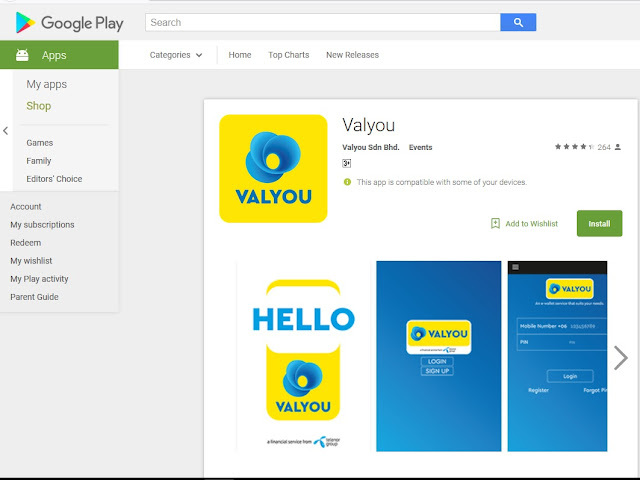 Users register and setup the e-wallet in Valyou app. Users go cash in their e-wallet at no charge at various channels such as AMT, Internet banking, CICO (cash-in-cash-out) merchants and Valyou branches. Users then start to transfer money to bKash account in Bangladesh - 6 steps processes. Mutual Trust Bank serves as the inward remittance clearing partner, in other words, the money will be transferred from Valyou to MTB (exchange) and to bKash in Bangladesh. Mr. Mizanur Rashid, CCO of bKash, in his speech, thanked all the Bangladeshis in Malaysia who work hard to earn a living yet transfer money back home to families. He sees this as a historical moment which will serve as a motivation project to provide micro services to the Bangladeshis from a private sector stand point. 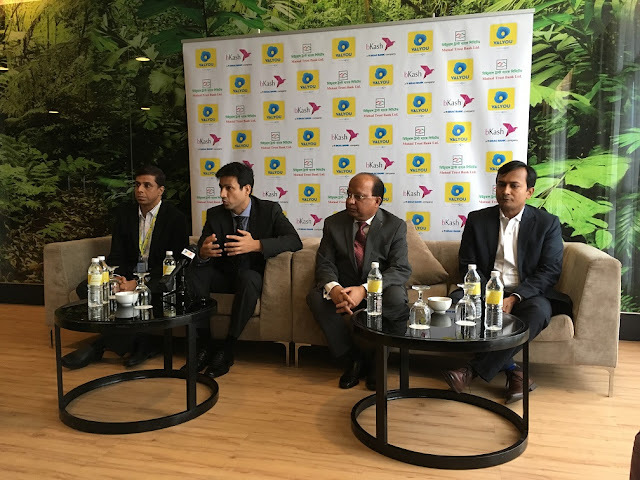 During the press conference, Mr. Khurram Malik, CEO of Valyou explained that there are an estimated 600k Bangladeshis in Malaysia out of the estimated 1.7 million migrant workers in Malaysia. The current user adoption stands around 100k users and Valyou aims to invest 6 months to 1 year period to increase user adoption – right now the focus is to educate the users and community. Valyou imposes RM 5 transaction fee per transaction. RM 50k in a single transaction from Valyou branches and international remittance agents. RM 3k per day and RM 5k per month using Valyou Mobile Wallet app. Valyou is based in KL, has 24 branches, 13 international remittance agents and over 2,000 cash-in-cash-out merchants nationwide. CEO Malik said that Valyou is a lifestyle product, therefore, aside from being an e-wallet, other features include prepaid top-up for all telcos in Malaysia and 13 other countries, bill payment to telcos and utility services providers as well as e-commerce payment channel.